Ukrainian rebels are reported to have shot down a Malaysian jet carrying 295 people over eastern Ukraine near its border with Russia, a Ukrainian Interior Ministry official said. The Boeing 777 flight between Amsterdam and Kuala Lumpur was said to have been hit by a missile and went down near the eastern town of Torez, Ukrainian Interior Minister adviser Anton Gerashchenko said on his Facebook page. The plane was carrying 280 people and 15 crew, he said. The plane began losing altitude about 50 kilometres from Russian air space, news service Interfax reported, citing an unidentified aviation official. The wreckage of the plane was found burning on Ukrainian territory, in an area that has seen heavy fighting between pro-Russian separatists and Ukrainian government forces. The airline said on its Twitter account that it lost contact with flight MH17 from Amsterdam to Kuala Lumpur. “The last known position was over Ukrainian airspace,” it said. Both Russian and Ukrainian sources confirmed that the plane went down between the city of Donetsk and the Russian border. Mr Gerashchenko said the plane was downed with a surface-to-air missile system supplied to the rebels by Russia. Andrei Purgin, a leader of the self-proclaimed Donetsk People’s Republic, told Interfax that the insurgents had no Russian-made “Buk” missile systems. Ukrainian President Petro Poroshenko said the Malaysia Airlines jet that crashed over rebel-held eastern Ukraine may have been shot down. “We do not exclude that the plane was shot down and confirm that the Ukraine Armed Forces did not fire at any targets in the sky,” Mr Poroshenko said in a statement posted on the president’s website. 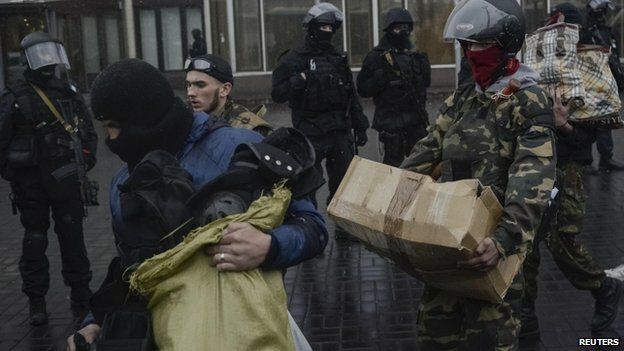 DONETSK (UKRAINE) – Ukraine has vowed to make pro-Russian rebels pay after losing 23 servicemen in clashes across the separatist east, while Russia proposed a UN resolution demanding a ceasefire to Europe’s deadliest conflict in decades. The Ukrainian defence ministry said Friday the death toll included 19 troops killed in a hail of rockets fired from a truck-mounted Grad rocket launcher system — a type of weapon both Kiev and Washington insist could only have been covertly supplied to the rebels by Russia. The official spokesman of Ukraine’s intensifying eastern assault added that 93 servicemen had sustained “wounds and contusions of varying severity”. “The rebels will pay for the life of every one of our servicemen with tens and hundreds of their own,” Ukraine’s Western-backed President Petro Poroshenko told an emergency security meeting. Friday’s official toll is the highest since Poroshenko tore up a brief ceasefire with the rebels on July 1 and relaunched an offensive that managed to dislodge the militias from key eastern strongholds they had held since early April. The military separately spoke of “eliminating” nearly 100 fighters in one of Ukraine’s bloodiest days since the start of the crisis last November when anti-government protests spiralled into revolution and a protracted standoff with pro-Russian rebels. Russia meanwhile has circulated a proposal for a UN Security Council resolution calling for a ceasefire between Kiev and the pro-Moscow insurgents. Other elements of the measure would give a greater role to the Organization for Security and Cooperation in Europe, Russia’s UN ambassador Vitaly Churkin told reporters Friday. He also said Russia would allow OSCE monitors to be deployed at two border crossing points on its side of the frontier — a key issue for the West which claims gunmen and weapons have come into Ukraine from Russia. Russia has asked the 14 other members of the Security Council to respond by 1400 GMT Monday, although it has yet to request that the panel meet over the matter. Two previous attempts by Moscow — caught up in a standoff with the West over the situation in Ukraine — to get the Council to agree to a text proved unsuccessful. Churkin also accused Poroshenko of using a June 20 peace plan as “a smoke-screen for intensifying operations in the east of the country” against the insurgents. The tide in the eastern uprising turned last weekend when resurgent government forces managed to flush out the separatists from a string of eastern towns and cities that hold historic Russian ties. Most of the militias have since retreated to Donetsk and the neighbouring industrial city of Lugansk — both capitals of their own “People’s Republic” that refuse to recognise Kiev’s new Western-leaning government and are seeking annexation by Russia. The conflict has claimed nearly 550 lives and displaced tens of thousands across a rustbelt that had long been the economic engine of the troubled post-Soviet state. Amnesty International said on Friday it had recorded “hundreds” of abductions and acts of torture committed by the separatists during the uprising. But it also noted that “excessive force may have been used… by Ukrainian forces” on several occasions — a charge repeatedly made by Moscow. The conflict has further splintered Ukraine’s culturally fractured society and left some ethnic Russians feeling marginalised by the more nationalistic leaders that have recently taken power. Many have escaped across the eastern border in search of a new home. “Everything is shutting down,” said a man in his fifties as he listened to the echoes of gunfire rolling in from fierce clashes being waged on Friday morning outside Donetsk International Airport. “There is nothing to do here. No work — and it is getting too dangerous,” he said. Poroshenko now finds himself trapped between European pressure to agree an immediate truce and massive domestic support for his troops to finish off an insurgency that has threatened the 45-million-strong nation with disintegration and economic collapse. Germany and France have been spearheading EU efforts to secure a truce and win promises from the Kremlin to stop meddling in Ukraine. They hope to avoid further European sanctions on Russia that might damage their energy and financial ties with Moscow. But they have found Poroshenko — boosted by recent successes on the battlefield and bound by promises made at the May election — looking increasingly unwilling to call off the offensive. Ukraine has rejected moves by Russia to almost double the price of Russian gas supplies to the country and threatened legal action. Ukraine’s interim PM, Arseniy Yatsenyuk, said Moscow’s hikes were a form of “economic aggression”. 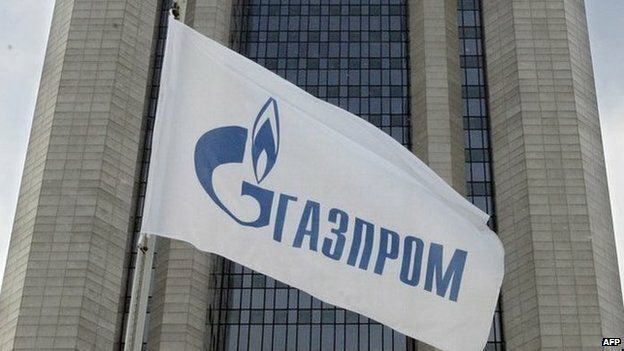 Russia’s state-controlled company Gazprom has raised the cost of gas to Ukraine by 81% to $485.50 (£292.86, 354.33 euros) from $268.50 for 1,000 cubic metres. Mr Yatsenyuk said Russia was trying to punish the new leaders in Kiev after last month’s removal of the Moscow-backed government of President Viktor Yanukovych. “Political pressure is unacceptable, and we are not accepting the price of $500,” Mr Yatsenyuk told ministers on Saturday. The prime minister said the price Russia was demanding was the highest in Europe, and that Ukraine was prepared to continue to buy at the previous rate of $268.50. The price increase could also affect gas supplies to Europe, as 40% of Russian gas to the continent travels through Ukraine, says the BBC’s David Stern in Kiev. Mr Prodan has said Ukraine would meet its commitments to supply gas to Europe no matter what happened. 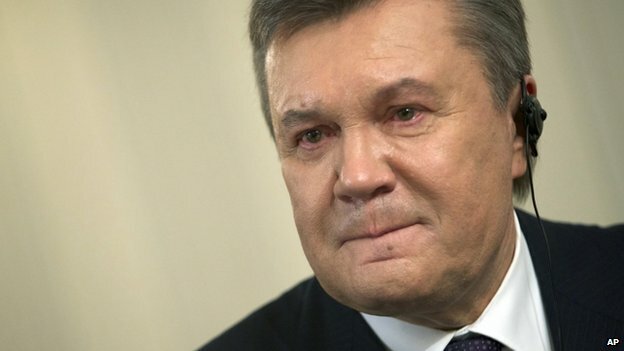 Gazprom says Ukraine’s gas debts to Russia stand at just over $1.7bn (£1.02bn). Russia has increasingly pressured Ukraine over its debts since the ousting of President Yanukovych in February. He was removed after months of pro-EU protests. The price increase marks the end of a discount Russia agreed to give Ukraine in December after talks between Russian President Vladimir Putin and Mr Yanukovych. Ukraine’s interim government said last month it would raise gas prices for domestic consumers by 50% to secure an International Monetary Fund (IMF) aid package. The IMF has made subsidy reform a condition of its deal worth as much as $18bn. Mr Yatsenyuk earlier told parliament the country was “on the edge of economic and financial bankruptcy”. Nato foreign ministers have agreed to suspend all practical civilian and military co-operation with Russia. Secretary General Anders Fogh Rasmussen said Russia’s annexation of Ukraine’s Crimea region was the gravest threat to European security for a generation. There could be no “business as usual”, he added. He had earlier categorically denied reports that Russia was pulling its forces back from its border with Ukraine. 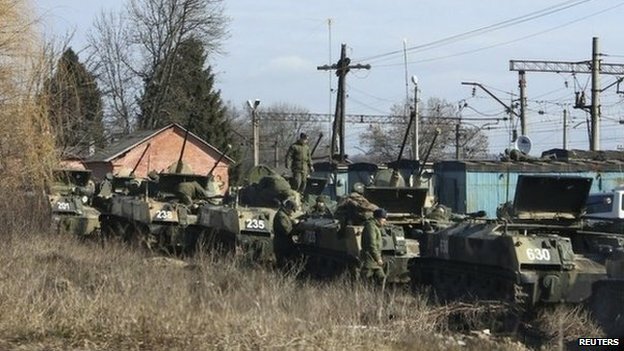 Moscow is believed to have massed tens of thousands of troops on Ukraine’s eastern border in recent days, causing alarm in Kiev and the West. Foreign ministers from the 28-member Nato bloc, gathering in Brussels for their first meeting since Russia’s annexation of Crimea, issued a strongly worded statement in which they condemned Russia’s “illegal” annexation of Ukraine’s Crimea region. They agreed to suspend Nato co-operation with Russia in a number of bodies but added that dialogue in the Nato-Russia Council could continue, as necessary, at ambassadorial level and above “to allow us to exchange views, first and foremost on this crisis. We will review Nato’s relations with Russia at our next meeting in June”. They are also looking at options including situating permanent military bases in the Baltic states to reassure members in Eastern Europe. Russia’s actions in Ukraine have caused concern in Estonia, Latvia and Lithuania, which were part of the Soviet Union during the Cold War. 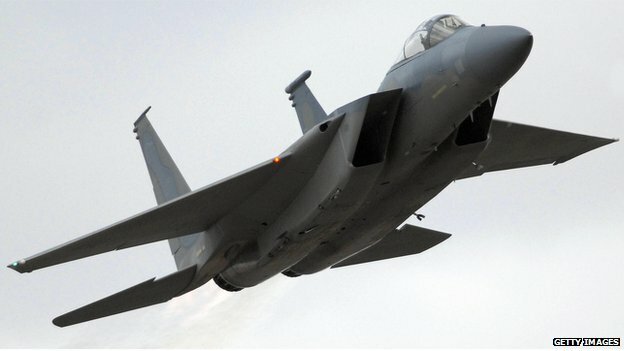 Nato jets will take part in air patrols in the region later in a routine exercise that analysts say has taken on added significance due to the crisis. Several Nato countries, including the UK, US and France, have offered additional military aircraft. Separately, the US House of Representatives voted overwhelmingly to back a bill providing aid to Ukraine and imposing certain sanctions against Russia over the annexation of Crimea. The bill now goes to President Barack Obama for signature. Announcing the formal suspension of ties, Mr Rasmussen said Nato’s message was clear: it stood by its allies, it stood by Ukraine and it stood by the international system of rules that had developed in recent decades. He urged Russia to be part of a solution “respecting international law and Ukraine’s borders”. He also said Nato would offer Ukraine greater access to alliance exercises and support the development of its military. Answering questions from reporters, he said he expected Nato-Russia co-operation over Afghanistan – including counter-narcotics operations – to continue. Ukrainian ministers were also in Brussels to meet their Nato counterparts. A joint Nato-Ukraine statement issued after their meeting announced that they would intensify co-operation and promote defence reforms in Ukraine through training and other programmes. Speaking earlier, Mr Rasmussen praised what he termed the “exemplary restraint” shown by the Ukrainian government and military, and welcomed the advent of “solid democracy” in Ukraine. “Russia’s aggression against Ukraine challenges our vision of a Europe whole free and at peace,” Mr Rasmussen also said. In Moscow, the Russian foreign ministry warned Kiev against any attempts to join Nato, saying such efforts in the past had “led to a freezing of Russian-Ukrainian political contacts, a ‘headache’ in Nato-Russia relations and… a deepening split within Ukrainian society”. On Monday, Russian President Vladimir Putin told German Chancellor Angela Merkel he had ordered a partial withdrawal of Russian troops from the border with eastern Ukraine. Meanwhile, Russian energy firm Gazprom has announced an increase of the price it charges Ukraine for gas from Tuesday. Gazprom’s chief executive Alexei Miller said the price of Russian gas for Ukraine had gone up to $385.5 (£231) per 1,000 cubic metres in the second quarter of 2014 from the previous rate of $268.5. Mr Miller added that Ukraine’s unpaid gas bills to Russia stood at $1.7bn. Tensions between the Kremlin and the West rose after the overthrow of pro-Kremlin Ukrainian President Viktor Yanukovych in February, following months of street protests. 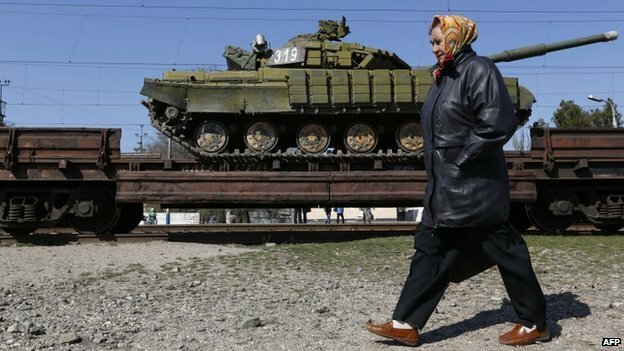 Russia’s subsequent decision to annex Crimea, after a Moscow-backed referendum that was later condemned as illegal by the UN General Assembly, triggered a crisis in relations. The US and EU have imposed sanctions on members of President Putin’s inner circle and other officials. Russia has retaliated with its own sanctions on US politicians.